After the intensity of the Scottish Championships, there are fewer major competitions taking place as the focus switches towards Worlds – but there have been several headline makers nonetheless. Team Morton claimed the Scottish Curling Mixed Championship, the Scottish Schools title went to Perth, and Scotland’s wheelchair curlers came away from Worlds with bronze medals – a fantastic achievement. And we now know which rink will be flying the flag for Canada at the World Men’s Championship in Edmonton, as Team Gushue won the Brier in St John’s, Newfoundland. The Scottish Mixed Championship was held this weekend at Curl Aberdeen (also hosting the Aberdeen International, a Curling Champions Tour event, in a few days’ time), with eight teams – two male players, two female – involved. Section A was topped by Team Waddell (Craig Waddell, Mili Smith, Cammy Smith, Sophie Sinclair), who won all of their round robin games – against Morton 5-4, Taylor 6-3 and Penny 5-2. Team Morton (Grant Hardie, Rhiann MacLeod, Billy Morton, Barbara MacFarlane) won two out of three though – beating Penny 7-2 and Taylor 5-2 – to also make the semi-finals. Section B involved the holders, Team Bryce (Cameron Bryce, Katie Murray, Bobby Lammie, Sophie Jackson), and they made the last four with a W2 L1 record, defeating Brydone 8-5 and Aitken 7-6, before losing 10-5 to Macleod. It was Team Macleod (Scott Macleod, Layla Al-Saffar, Fraser Kingan, Tamzin Smith) who finished first in that group, also on a W2 L1 record – having lost 5-4 to Aitken but winning 5-4 over Brydone. Come the knockouts, both the Section A teams triumphed – Waddell scoring three in end one, two in end four and stealing one in end seven to win 7-5 and end Bryce’s reign as mixed champions. As for the other semi-final, Morton stole singles in ends three and six as they edged out Macleod 4-2. Another Morton steal got them off to the ideal start in the final, though Waddell grabbed two in end three and forced Morton to one in end four. Successive steals of one in ends five and six for Morton ultimately proved decisive, as Waddell could not recover the two-point deficit – meaning Team Morton were crowned Scottish champions! That qualifies them for the World Mixed Curling Championship 2017, held in Champery, Switzerland, in October. Also this weekend, the Scottish Schools Curling Championship took place in Braehead, with 24 teams that included many of Scotland’s up-and-coming curlers, divided into four sections. The quarter-finals saw wins for Kelso High School, Lockerbie Academy, Perth High School and Stranraer Academy, before Lockerbie defeated Kelso 6-4 and Perth saw off Stranraer 4-1 in the semi-finals. In the final it was Perth (Duncan McFadzean, Leeanne McKenzie, Matthew McKenzie, Cameron Paterson) who came out victorious, stealing two in end three and one in end four, adding another two in end six, to win 6-4 and take the title. Scotland’s wheelchair curlers, having only recently gained promotion to the main World Championship, put together an excellent run in Gangneung, South Korea, to come away with a medal. The rink of Aileen Neilson (skip), Gregor Ewan, Hugh Nibloe, Robert McPherson, Angie Malone (alternate) and Sheila Swan (coach) finished the round robin with a W6 L3 record, putting them into the 1v2 playoff with Russia, which they lost 4-2. They were then defeated 7-3 by Norway in the semi-final, but bounced back to win the bronze medals, beating China 9-5 thanks to three in end seven and a steal of two in end 10. Skip Aileen Neilson said: “It’s a bit surreal to be honest. Having come off from losing in the 1v2 game to Russia, and then to Norway [in semi-final] we knew we had to come back out here and fight. “We stuck together and we didn’t let it go until the very last stone was thrown. “We have gained so much experience in having come back from the qualifiers to come back and medal. Norway won gold, overcoming Russia 8-3 in the final. And at the Brier, Canada’s national men’s championship, it was a joyful homecoming for Team Gushue in St John’s, Newfoundland. Backed by a passionate crowd, the Gushue rink (Brad Gushue, Mark Nichols, Brett Gallant, Geoff Walker) overcame Manitoba (McEwen) in the 1v2 playoff by a 7-5 scoreline, then faced Team Canada (K Koe) in the final. Gushue made a fast start, going 5-1 up after five ends, but Koe scored three in end six and stole one in end seven to level it up. Gushue, though, kept his composure to take his ones in ends eight and 10, which meant a 7-6 victory and passage to the World Men’s Championship, to face Team Murdoch of Scotland and the other big hitters of the global game. 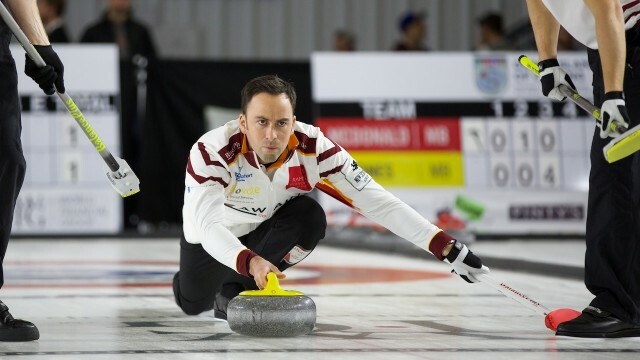 Team Smith performed best out of the three Scottish teams at the Swiss Cup Basel, battling through to the last four before succumbing to the in-form Canadians of Team Gushue. The Curling Champions Tour competition involved 32 teams and was played in a triple knock-out format – A, B and C-roads, before playoffs for the last eight teams standing. There were opening game defeats against Finnish opposition for both Team Murdoch (David Murdoch, Greg Drummond, Scott Andrews, Michael Goodfellow) – 6-3 versus Team Kiiskinen – and Team Smith (Kyle Smith, Thomas Muirhead, Kyle Waddell, Cammy Smith) – 5-3 versus Team Kauste. The only Scottish rink to pick up a win from the opening round of matches were Team Brewster (Tom Brewster, Glen Muirhead, Ross Paterson, Hammy McMillan), who beat Team Ruch 8-3. Knocked down to the B-road, Teams Murdoch and Smith picked up wins in their next games, against Teams Oehninger (5-2) and Suter (6-5) respectively. 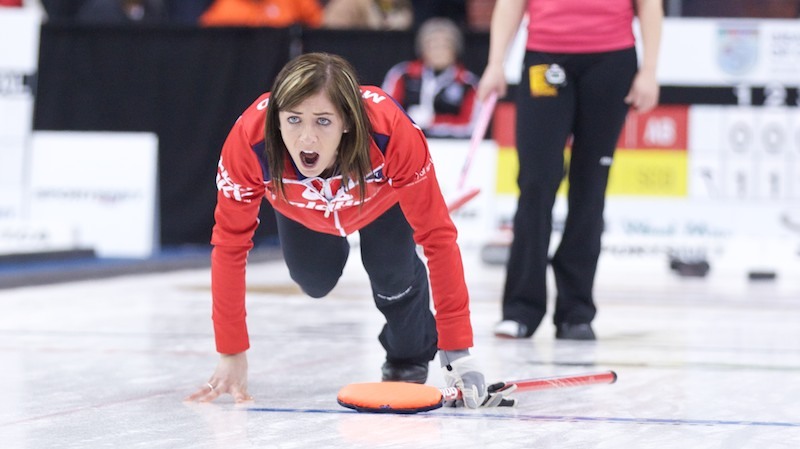 They were then joined on the B-road by Team Brewster, who lost 5-3 to Team Ali of Russia. While Team Smith made steady progress along that road, defeating Team De Cruz 6-4 and Team Ali 7-4, their compatriots suffered further defeats on Friday evening – Team Brewster losing 6-3 against Team Ulsrud and Team Murdoch going down 6-4 to Team Gushue, who had surprisingly lost their first match 8-5 to Team Høiberg. Team Murdoch kept themselves alive on the C-road with an 8-3 victory over Team Sik, but Team Brewster lost 6-3 to Team Baumann, knocking them out of the tournament. They were swiftly followed out the exit door by Team Murdoch, who were beaten 6-5 by Team Schwaller. That left Team Smith as Scotland’s sole representative. After a 5-2 loss to Team Kiiskinen knocked them down to the C-road, they won 6-3 against Team Keller to set up a winner-takes-all clash with 2014 world champions Team Ulsrud. Despite a steal of three by Team Smith, the Norwegians took the match to an extra end. But the Scots held their nerve, scoring the one they needed for an impressive 8-7 victory. That took them into Sunday’s quarter finals, where they faced another Norwegian side, Team Høiberg. They were 4-2 behind going into the last two ends, only to score two in the seventh and steal one in the eighth to win 5-4. Their semi final against Team Gushue proved a match too far, however, the Canadians winning 8-2 with scores of three in ends two and four. Team Gushue have started this season like a steam train, and they secured themselves another title with a 7-2 win over Team Van Dorp of the Netherlands in the final.